Do You Look Like Van Gogh? Vincent Van Gogh is one of the most famous painters of all time, and certainly the most famous Impressionist painter. While there is a great deal of controversy over whether or not he was ever photographed, he painted a number of self-portraits that have left us with little doubt about what he looked like. Aside from the infamous missing ear, probably the most recognizable thing about him is his vivid red hair and haunting (or perhaps haunted) stare. If you have these qualities, albeit with both ears still attached, you may find yourself being rewarded and part of a new art project at the same time. Canadian author and artist Douglas Coupland is on the hunt for Van Gogh lookalikes from around the world. He's hoping to create a sculpture of the famous artist, and is offering a prize of 5000 euros to the luckiest Van Gogh lookalike. “I’m learning that most people have someone in their life who looks like Vincent van Gogh. It could be your next-door neighbour. It could be a guy at work. It could be you.” This writer can't think of anyone he knows who looks like Van Gogh, but perhaps that's the exception that proves the rule. Coupland has set up a website, iamvincent.com, where people from all around the world can submit their images of friends, neighbours, co-workers or themselves to be judged in the lookalike competition. The lucky winner will receive the 5000 euro prize and be flown along with a friend to Vancouver, Canada, where Coupland is based. They will then be scanned in 3D in order to create a detailed model of the Van Gogh replica. The final output will then be converted into a bronze statue, which Coupland hopes will be the first of many. It's somewhat amusing to consider that the genetics of red-haired people is one of the driving fascinations behind the piece for Coupland, but nobody will be expecting a bronze statue to have the particularly red hair that is one of Van Gogh's signature features. 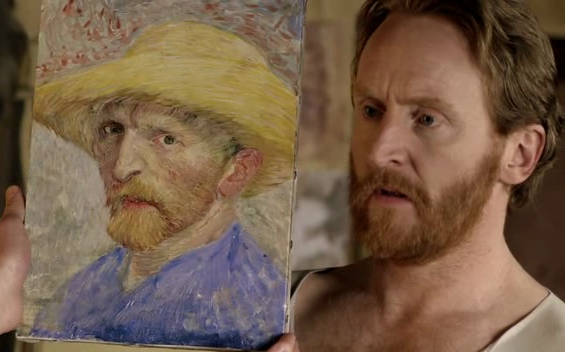 One wonders if the actor who played Van Gogh in an episode of Doctor Who, Tony Curran, will be entering the competition - he's almost a perfect replica of Van Gogh. It's almost eerie!